Jebel Zubair volcano is a shield volcano forming the island of the same name in the Red Sea. Measuring 5 km in length, it is the largest of a group of 10 small volcanic islands and shoals known as the Zubair archipelago, which includes the Zubair, Centre Peak, Saba, and Haycock islands. 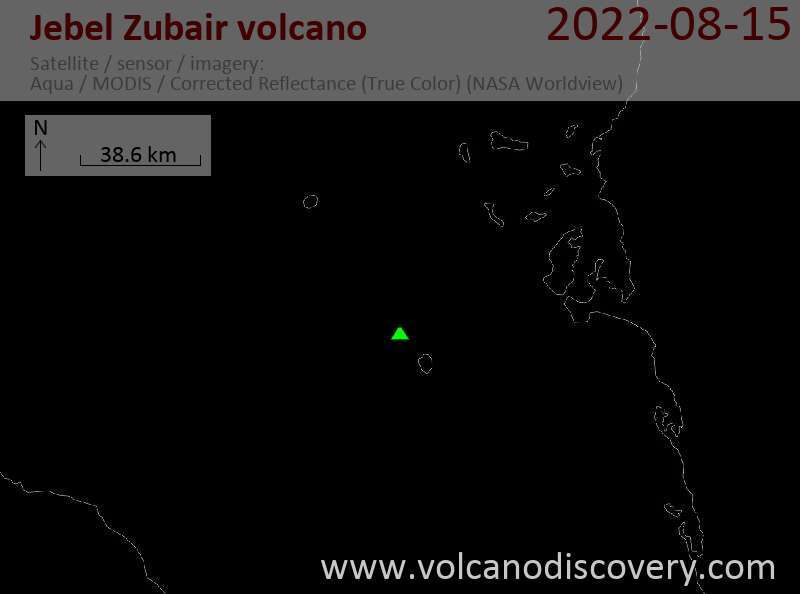 A new eruption in Dec 2011 was first reported on 19 Dec 2011. The eruption lasted until mid January 2012 and produced a new island immediately NW of Rugged Island. The Zubair group is the subaerial part of a volcanic shield that from a shallow platform in the Red Sea rift. The platform and eruptive vents forming the islands are oriented NNW-SSE parallel to the rift. An early explosive phase was followed by a brief period of marine erosion, and then by renewed explosive activity accompanied by the extrusion of basaltic pahoehoe lava flows. This latest phase of activity occurred on the morphologically youngest islands of Zubair, Centre Peak, Saba, and Haycock. Spatter cones and pyroclastic cones were erupted along fissures that form the low spine of Zubair Island.